​We all have mental health and our mental wellbeing can fluctuate day-to-day. When you’re not feeling great, it can feel harder to take action to benefit your wellbeing. How do I know what will help? How do I know when to take action to ​benefit my mental wellbeing? It’s important to notice when your mental wellbeing may be slipping, so that you can take action to boost it. Here are some questions that you might find helpful to ask yourself if you think that you are experiencing lower mental wellbeing. This is not an exhaustive list of things that you may notice when your mental wellbeing is starting to drop; don’t treat it as a checklist where you have to notice a certain number to take action. It’s worth taking action as soon as you notice one of these signs. Have you been withdrawing and not feeling like socialising lately? Have you been distancing yourself from friends, family and housemates? Have you felt that your academic, sporting or extracurricular performance hasn’t been where you’d like it be recently? Have you experienced a significant change in your eating habits - having a much smaller, or bigger, appetite than usual? Have you noticed that you’re sleeping more than usual, finding it difficult to fall asleep or having difficulty staying asleep? Have you found it more of a struggle to take care of your personal appearance lately? When you’re not feeling great, it can be hard to know what will help you to feel better. ​It’s a good idea to create a Wellbeing Toolkit detailing all the things that you know help you to maintain good wellbeing. Regular sleep and wake times. Do something relaxing before bed like yoga or reading. Use an alarm clock rather than your phone, to reduce temptation to sit and scroll in the morning. Keep your room tidy and change your bedsheets regularly. Write down to-dos and worries before bed so it’s easier to switch off. Spend time outdoors in the fresh air and nature. 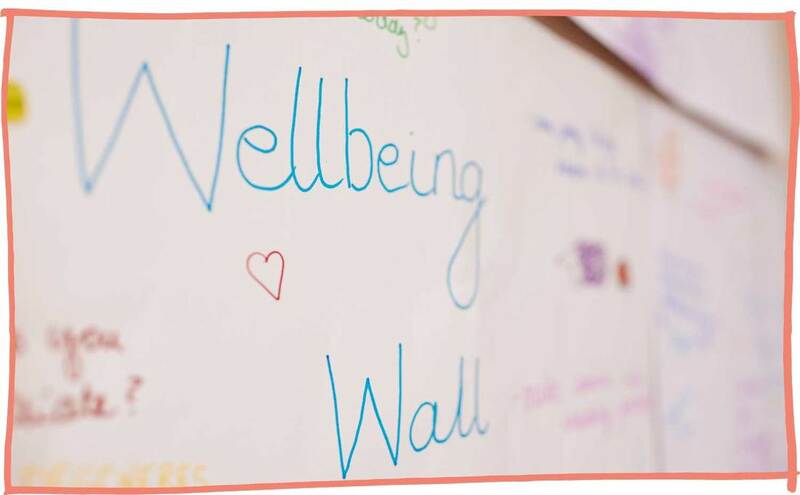 Volunteer - check out this article from Student Hubs about how volunteering can benefit mental health. Find out how you can get involved in volunteering by talking to your university volunteering office; Student Hubs or local volunteer centre. Do something creative: draw, scrapbook, write, knit, dance, play an instrument. Play a board game or a computer game. Read a book or blog. Watch your favourite TV show or film. Meditate or try mindfulness - this TED talk provides an informative introduction to the ideas behind mindfulness. Eat a balanced diet; check out this resource from the Blurt Foundation which gives helpful tips on how to use diet to boost your wellbeing. Cook for yourself and learn a new skill. Try something gentle like yoga or pilates. Catch up with family and friends from home. Do something you enjoy with friends. Take some ‘me time’ and relax. Plan a fun day for yourself and do the things you enjoy. Taking the time to look after your mental wellbeing can be a challenge. A powerful way to take positive steps is to write down your intention in a clear, time-specific goal. Clear, time-specified goals enable us to succeed, as goals can be achieved. Even when goals aren’t achieved, this can be used to think specifically about what was difficult and how to adjust these goals to make it easier to try again. Try choosing one way to prioritise your mental wellbeing this week. It is best to anchor the intention to a known time or other commitment e.g. ‘after the biology lecture on Tuesday’. Use the phrase “I will do this specific action on this day at this time.” and see how it goes! Sometimes, the thought of doing anything is just too much. If this describes your situation, don’t punish yourself. The great thing about taking small steps is that it doesn’t matter how small your goal is. You decide what you want to achieve and what is realistic for you to achieve. That way, the completion of any task – no matter how simple it may seem – is recognised as the achievement that it is. You may find it useful to record how you felt during/after doing things to support your mental wellbeing in pictures or a journal. Doing this means that you can look back when you next feel low and remind yourself of how the activity helped you. If you find yourself experiencing mental health difficulties which are preventing you from doing the things you want to do, seek help – whether through friends, family, a doctor, or your university support services. Join Mind’s supportive online community, elefriends for a safe place to listen, share and be heard.